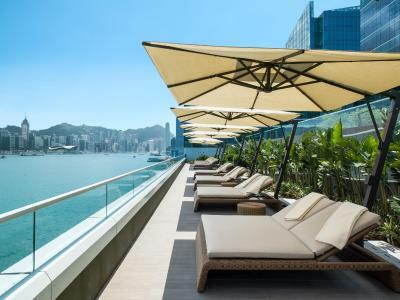 Lock in a great price for Kerry Hotel, Hong Kong – rated 9.1 by recent guests! 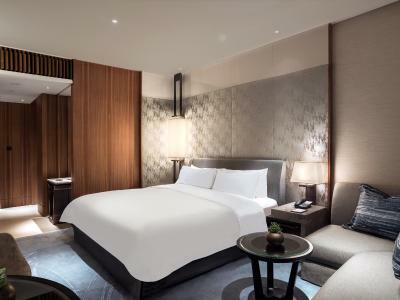 Spacious rooms overlooking the bay, all beautifully taken care of by professionals. The brunch is varied and excellent. Our room was on the 16th floor with beautiful view, together with that we had an access to The Club Lounge, where we also could spend time after check out/before our flight having a nice coffee, food and snacks! Wi-fi was available all over the hotel and the connection was pretty good. Staff was nice and helpful at any time of our stay! Excellent staff and facilities. Breakfast buffet is amazing. 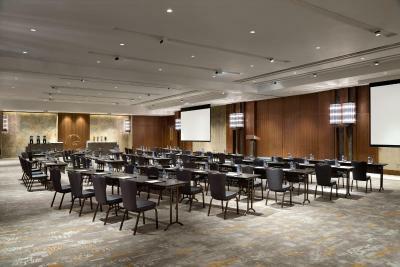 The room was excellent - spacious, with a very comfortable bed and all the amenities you could need. The use of the ‘handy’ mobile phone during the stay proved to be invaluable, when exploring Hong Kong. Very spacious room with a grand view of the harbor. Impressive! They have a full equipped Gym and open 24 hours. Food court idea in the lobby is very interesting and the interior design of the food court is interesting. The use of App to place order is very convenient. Very convenient! This hotel is very close to public transportation (ferry and bus depot). You can hop on the Hung Hom ferry to cross over to Hong Kong island. 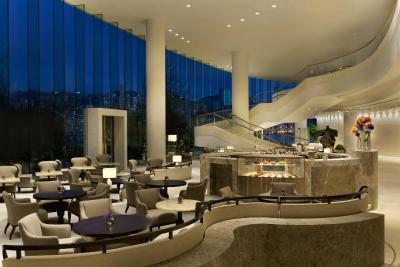 The hotel itself is definitely luxurious. I tend to stay at 4 & 5 star hotels. This hotel will not leave you disappointed. 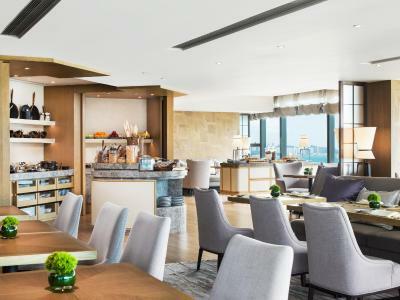 The rooms are spacious and the view of the harbor is stunning. Don’t skip on the buffet breakfast either. 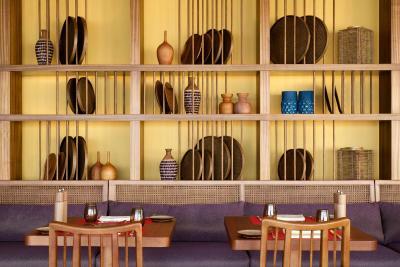 It’s one of the best breakfast buffets I’ve experienced. I would stay here again! 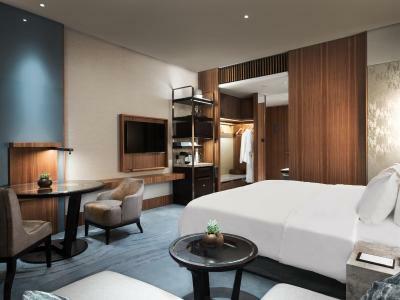 Kerry Hotel, Hong Kong This rating is a reflection of how the property compares to the industry standard when it comes to price, facilities and services available. It's based on a self-evaluation by the property. Use this rating to help choose your stay! 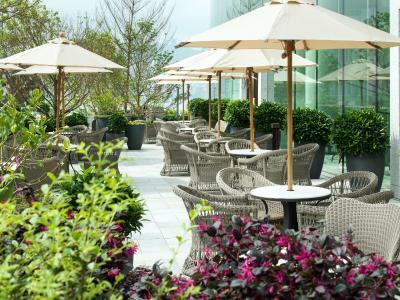 With pride of place on Kowloon’s vibrant waterfront, at the heart of Hung Hom Bay, Kerry Hotel, Hong Kong is an urban lifestyle resort offering guests unique dining concepts, extraordinary spaces and spectacular harbor views. 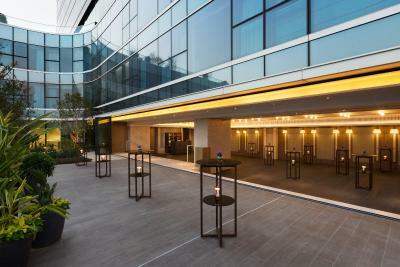 It features the largest hotel meeting, event and catering facilities in the city. 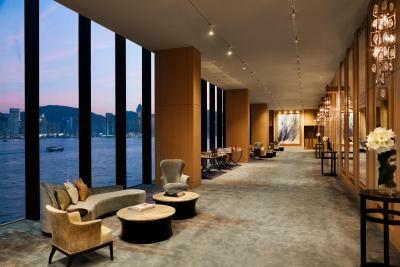 Kerry Hotel, Hong Kong is only a few steps away from Tsim Sha Tsui East shopping district. 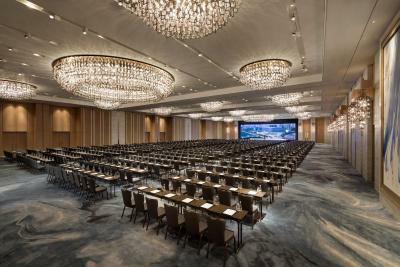 1,150 feet away from Whampoa MTR station, the hotel is seamlessly connected to the rest of Hong Kong via underground train, ferry, bus, taxi and limousine services. 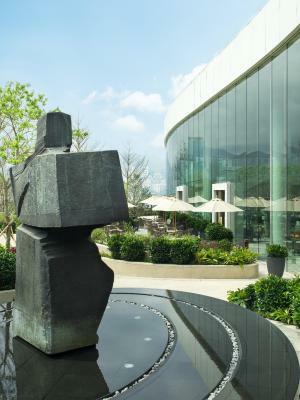 Hong Kong International Airport is 40 minutes' car journey away. 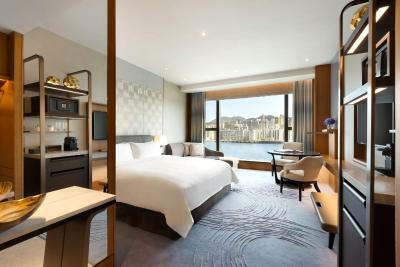 Most of the guestrooms feature harbor views, with layouts ranging from 42 square yards city view rooms to 294 square yards stunning suites. 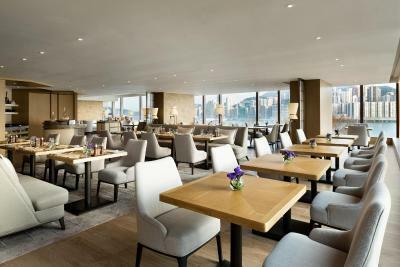 Guests will be swept away by views of Victoria Harbor and the Hong Kong Island skyline, as well as a world-class art collection and designer interiors. 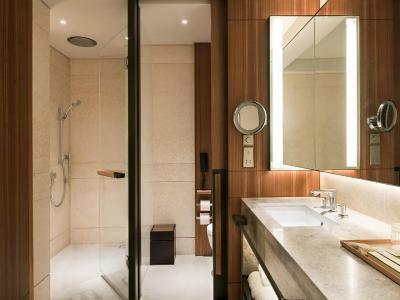 Other highlights include an e-concierge service and a complimentary mini-bar upon arrival. 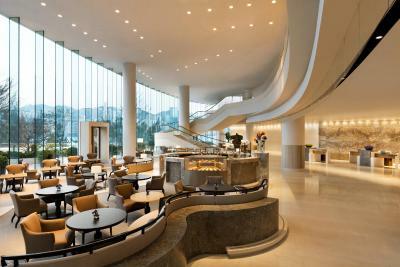 Kerry Hotel, Hong Kong provides a rich collection of dining options include 4 restaurants and 1 bar. 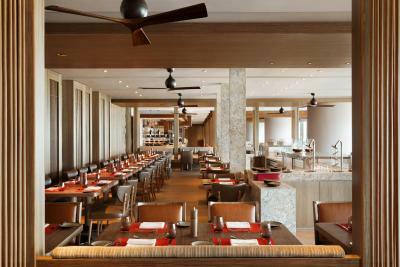 Each restaurant and hotel bar serves international cuisines with attractive Victoria Harbor views. 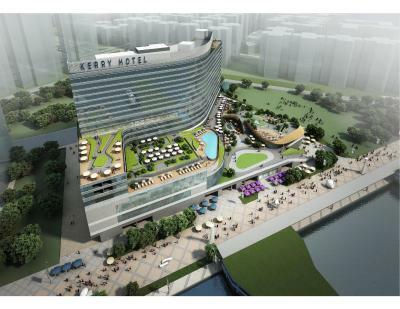 When would you like to stay at Kerry Hotel, Hong Kong? This room features full-size windows and city views of the nearby community. Free WiFi access is provided. 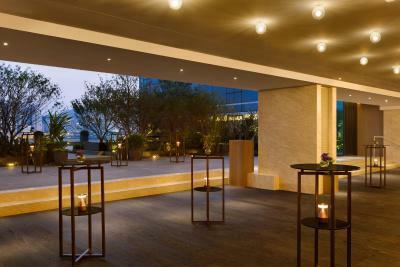 Private parking is available on site (reservation is needed) and costs HKD 80 per hour. 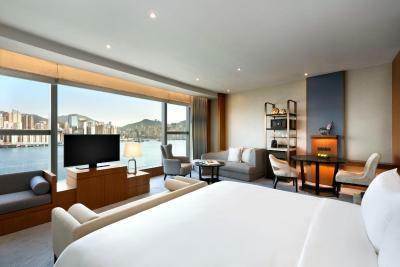 This room features full-size windows and sweeping views of Victoria Harbor. Free WiFi access is provided. This room features full-size windows and city views. 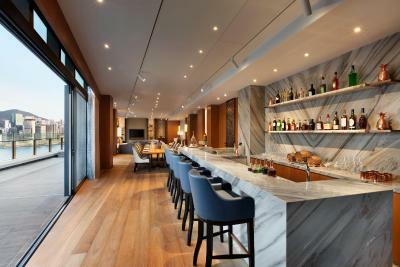 Guests will enjoy a mini-bar in the room and exclusive Club Lounge privileges. 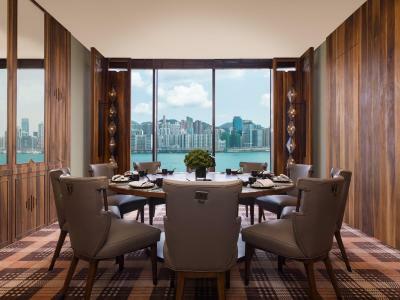 This room features full-size windows and sweeping views of Victoria Harbor. 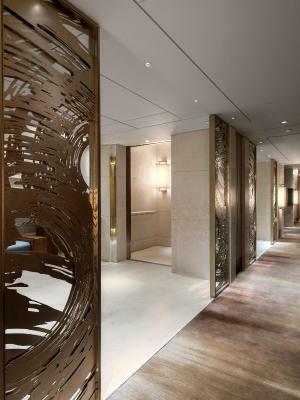 Guests will enjoy a mini-bar in the room and exclusive Club Lounge privileges. 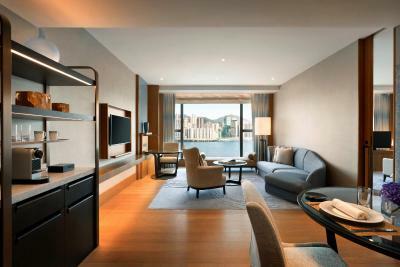 This suite offers a separate living room overlooking the sweeping views of Victoria Harbor. 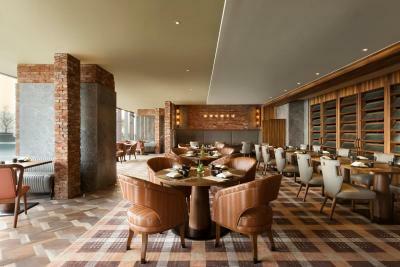 Guests will enjoy exclusive Club Lounge privileges. This room features full-size windows and city views. 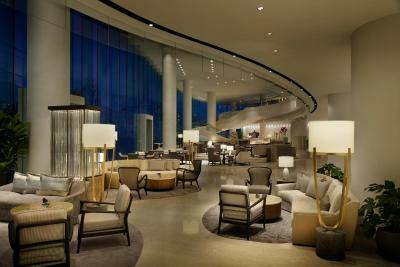 Guests will enjoy a mini-bar upon arrival and exclusive Club Lounge privileges. 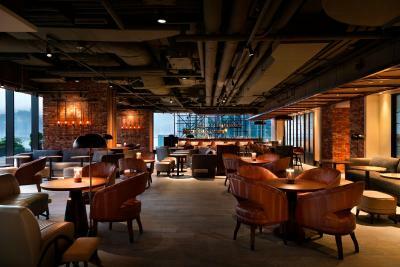 House Rules Kerry Hotel, Hong Kong takes special requests – add in the next step! 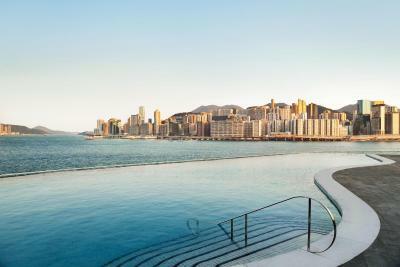 Any additional older children or adults are charged HKD 550 per night for extra beds. Kerry Hotel, Hong Kong accepts these cards and reserves the right to temporarily hold an amount prior to arrival. Please present the same credit card used to guarantee your booking when check in and pay to hotel. Please note that the extra bed will be unavailable from 1st-10th February, 2019 inclusive. 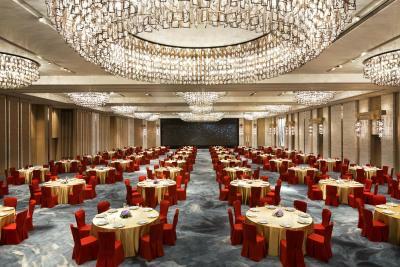 Please inform Kerry Hotel, Hong Kong of your expected arrival time in advance. You can use the Special Requests box when booking, or contact the property directly using the contact details in your confirmation. Overall stay was awesome. SuperB! The cleanliness and the room service. I arrived at Hong Kong late and I was hungry. The spaghetti and dessert were good! Initially I was disappointed that the hotel was not as close to Kowloon central as I had anticipated but once we got our bearings and mastered the MTR it was fine - Indeed a bonus to be a little out of the busyness if central HK. 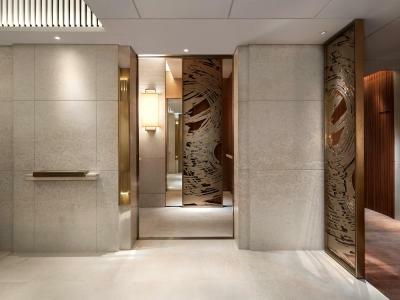 Rooms were well appointed, comfortable and extras appreciated, such as mobile phone, minibar service etc. concierge could not have been more accommodating. Red Star bar a delightful way to spend an evening overlooking the harbour. There was absolutely nothing at all not to like. The view from our bedroom was exceptional looking across to Hong Kong Island. 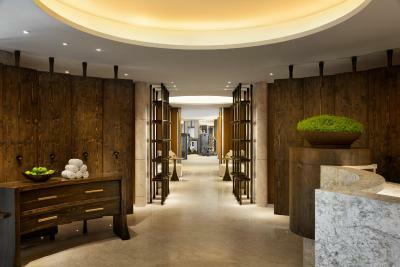 The vibe through out the hotel was very good indeed and the facilities of a high standard. The pool area and surrounding facilities made for a perfect stay. 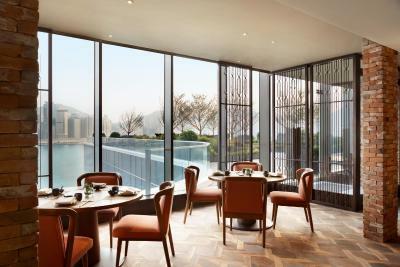 The breakfast was varied and of a very good standard, together with the views from the restaurant itself. Particularly useful was the hotel shuttle bus service to the ferry terminal area. This made getting to Hong Kong Island under your own steam, via the ferry, very easy indeed. A recommendation try the afternoon tea at the hotel ! Hotel itself was very expensive, and in addition they blocked high amount of deposit on my credit card. By some mistake deposit was taken twice, which resulted in freezing a lot of money on my card. Second day after arrival back home the deposit money are still blocked. Very poor quality of cleaning/dusting there was dust everywhere, the wall was greasy in the bathroom in the toilet behind the seat it was filthy and the sticker in the shower was peeling off and not fixed. We got a tiny amount of shampoo and conditioner coming with the room. But the worst is that we used the laundry service which is mostly free but as we wanted same day delivery we were charged but not told beforehand let alone the very high prices! We were charged £140 for 7 t-shirts and some underwear! Very very disappointing experience. The view from all over the hotel was amazing. Breakfast was fantastic. Loved everything. Especially that everyone spoke English and that the room had a mobile phone we could take out with us. Invaluable for Maps and directions! Would prefer if breakfast ran until midday. Bed like a cloud, lovely natural light-filled rooms! Everything! The staff were brilliant went well beyond what was asked and delivered efficiently and happily. The facilities are top-notch - very clean, well looked after and well thought out. The gym is one of best hotel gyms I’ve been to, same could be said of the pool. The views from gym and pool and our room were simply stunning. The hotel really covered the small details - in room Nespresso, lots of water and first round comp. 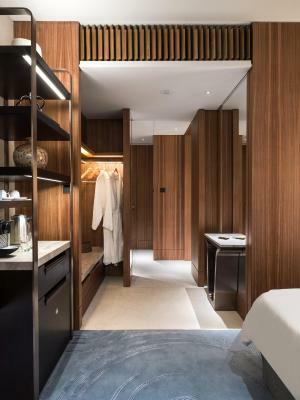 minibar- very well. We have travelled and stayed in many hotels but the Kerry has to be our favourite and best overall experience. I simply cannot day enough! At checkout I asked the Rooms Manager to purchase an umbrella and he comped it to me. That is the sort of thing a premium hotel should do, and makes clients who come back again and again. 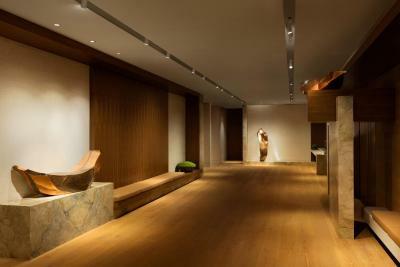 One of the most pleasant stays in a large hotel. 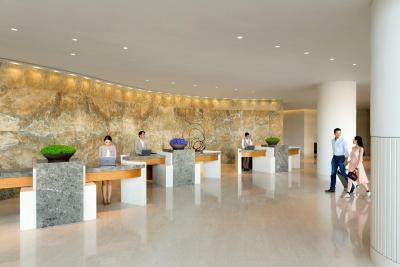 The personalised check-in service was something I hadn’t experienced before and I was thoroughly impressed. My partner needed to see a doctor and their assistance and follow up was superb. The room was beautiful and although wasn’t one of the more expensive ones, it still had beautiful views across the city and glimpses of the harbour. The free mini bar was a nice touch. Highly recommend this hotel if you like all the conveniences of a large hotel but the personalised service of a boutique hotel. The food on the first floor is not good and some details can be better, like the shower gel and the shampoo.